Testimony needed – tell us your 1.5% Green Energy Technology Stories! HB 2496 is up for its public hearing on Tuesday, March 26th in the House Energy and Environment Committee. YOUR HELP IS NEEDED! Our opponents say that our concerns are overblown – please draft testimony to tell your personal story with a 1.5% project. Were you ready to bid and the project said they weren’t going to fulfill the requirement? Was the 1.5% in the original RFP and then suddenly gone? Did you have a project that went really well? Tell your story! Send your testimony to hee.exhibits@oregonlegislature.gov – make sure to say you support HB 2496 and underscore the need for enforcement of the law. More testimony needed! 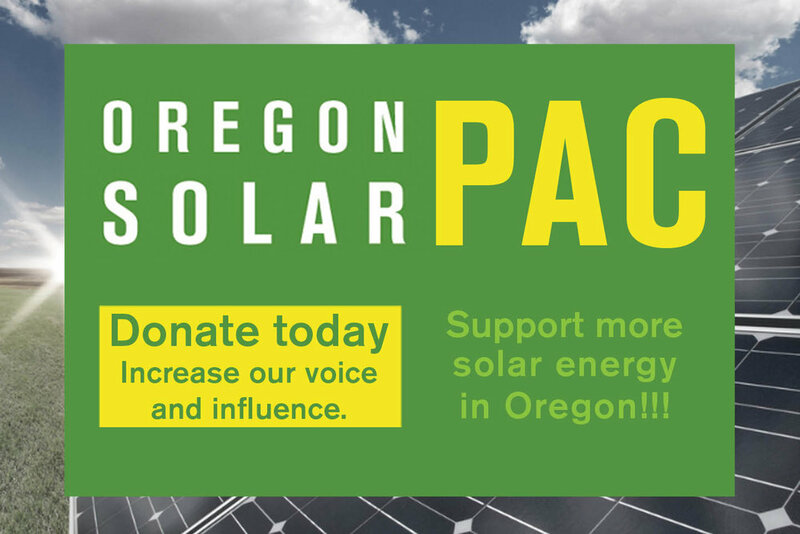 Tell the Legislature why small scale renewable energy is important! Even MORE testimony is needed! Tell the legislature that the PUC needs to consider social and environmental impacts when creating regulations!